People in Sgt. Bowe Bergdahl's hometown of Hailey, Idaho, say they're “shocked” by how quickly the captive soldier's homecoming has turned into a national controversy. Bergdahl was released Saturday after nearly five years in Taliban captivity. Since then, some fellow soldiers have accused him of being a deserter. Angry phone calls and emails have poured into Hailey's city hall, police department and the chamber of commerce since the weekend. Many online commentators have accused the 28-year-old soldier of being a traitor and a Taliban sympathizer. The backlash stems from reports that Bergdahl intentionally walked off his base in southeast Afghanistan in 2009. A former member of his battalion has said six soldiers died in the search efforts that followed. But longtime supporters of the Bergdahl family say at this point, it’s all speculation. Hailey Police Chief Jeff Gunter said a welcome celebration later this month will move ahead as planned. The secretary of the Army issued a statement saying they are investigating the circumstances that led to Bergdahl’s capture. Members of Congress, meanwhile, are pushing for hearings on the deal that led to Bergdahl's release. The Obama administration agreed to exchange five Taliban detainees for the soldier. After five years in captivity, Sgt. Bowe Bergdahl is finally free. The American POW is now receiving medical aid at a U.S. military hospital in Germany. A U.S. soldier held nearly five years in captivity by the Taliban is returning home. This morning, President Obama announced the release of Sgt. Bowe Bergdahl of Hailey, Idaho. Yellow ribbons and black prisoner-of-war flags are lining the streets in Hailey, Idaho today. The town is preparing to honor captured soldier Bowe Bergdahl. The 27-year-old Army sergeant has been a prisoner of the Taliban for almost four years. Family and friends are getting ready for what they hope will be the biggest and last local rally to bring Bergdahl home. Members of a POW support group mount flags along Hailey's Main Street. Donna Thibedeau-Eddy has traveled here from Pocatello, Idaho, to participate in the Bergdahl event. Four years. That's how long Sgt. Bowe Bergdahl has been a prisoner of the Taliban. The parents of America's only prisoner of war in the current conflict in Afghanistan are urging the U.S. to reach a peace agreement with the Taliban and bring their son home. 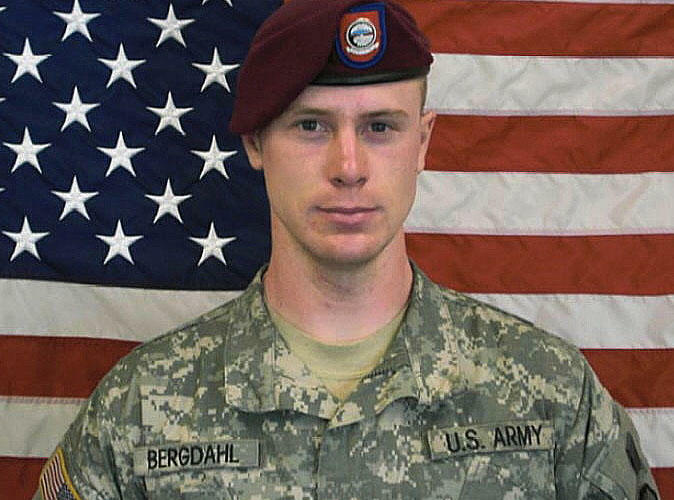 The end of June marks the fourth year Idaho soldier Bowe Bergdahl has been in captivity. On Saturday his parents spoke out at a rally Bowe's hometown held in his honor. Jani and Bob Bergdahl talk of a son who sought adventure in travels around the world. At 20, they say, he took apart and rebuilt his 1978 KZ-1000 motorcycle.